The Flushing Meadows Hotel & Bar is located in Munich‘s vibrant Glockenbach district, which roughly translates to „bell‘s creek“, after the small creek that ran thru the neighborhood. As you can image the „bell“ part alludes to a former bells manufacturer, who used to be located just by the creek outside of Munich‘s city walls near Sendlinger Tor over 500 years ago. The Glockenbach area has undergone various developments since: from exile-site for plague patients … to industrial quarter … to red-light district … to skid row … to gay hot-spot. These days, the Glockenbach quarter is known to be especially „happening“, thanks to a large variety of boutiques and bars as well as the quarter‘s easy-going vibe. But we‘ll let you be the judge of that. Munich’s industrial market in Sendling is home to many down-to-earth and hidden restaurants including fish, Greek and Italian spots. Our favorite is probably Friulana, which serves rustic Italian dishes, no frills attached. For a taste of Munich’s premier Weißwurst breakfast, visit Gaststätte Großmarkthalle. But remember, tradition dictates that one must finish this specific meal before 12 pm! 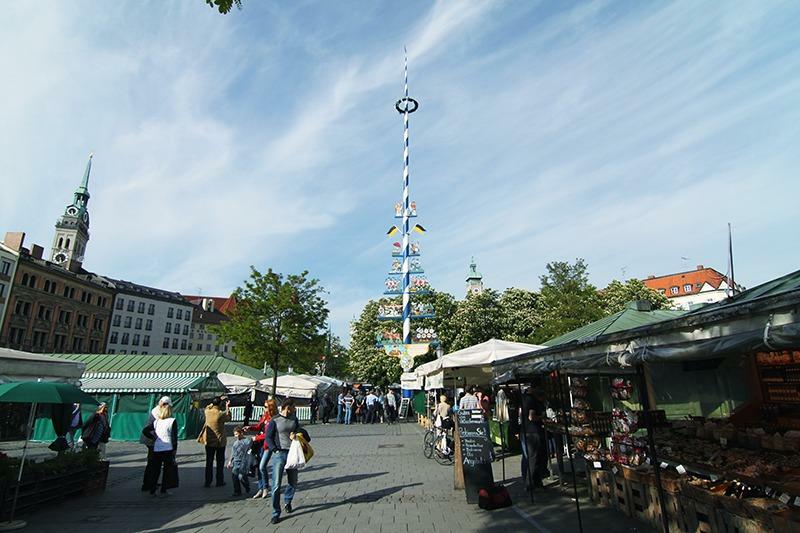 Munich’s traditional market is a must for many reasons – most notably a Weißwurst breakfast featuring sweet mustard, a hot Brezn and cold glass of Weißbier. The Vikzualienmarkt is one of the few places left, where you could witness the local grumpiness, which Bavarians are so well known for. Or used to be. Other Viktualienmarkt options include fish at Poseidon and a visit to the notorious Schmalznudel, which is an early-morning refuge for clubbers, who have the munchies. Typically, Munich is infatuated with Italy. And everything which is Italian. That’s why Monaco di Baveria is often referred to as Italy’s northernmost city. Eataly is the lively testament to this fact. Located just south of the Viktualienmarkt, this gigantic food-court in the Schrannenhalle has you covered. From coffee and aperitivos, to delicatessen, snacks and even Bianchi racing bikes. The Jewish Museum Munich provides an overview of Munich’s Jewish history on 900 square meters – with a special focus on the Jewish religion, its annual festivals and rites of passage. The first and second floor feature altering exhibitions. As part of the city’s new Jewish Center, the museum is situated between the main synagogue Ohel Jakob and the Jewish Community Center which is home to a public elementary school, a kindergarten, a youth center as well as a community auditorium and a kosher restaurant. You’ll have read all about Munich’s vast array of top-notch museums in your other guides. 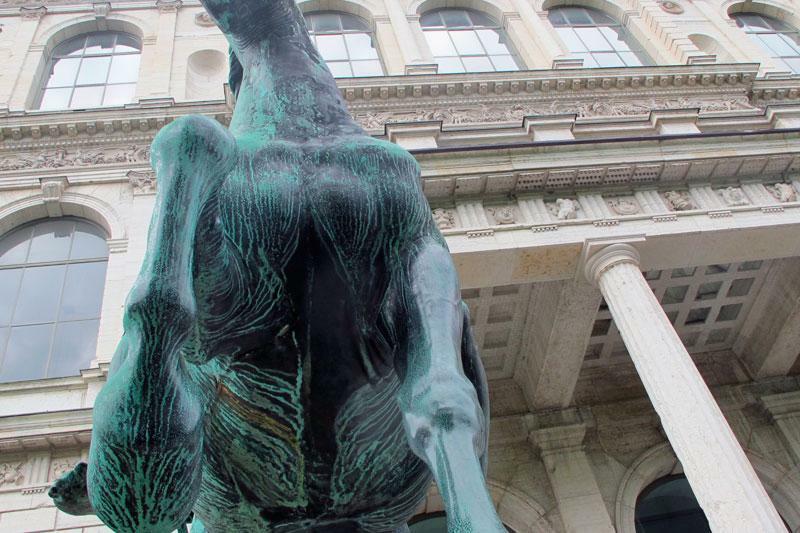 So we’ll just tell you this: make sure not to miss the monstrous yearly student exhibition aptly named “Jahresausstellung” at historic Kunst Akademie, which is open to all for two weeks every year in July. Also, you should know that The Flushing Meadows Hotel is located just minutes from the world-famous (and monstrously gigantic) Deutsches Museum. Munich came into its own in 1972. The Summer Olympics opened the Bavarian capital to the world and presented a colorful view of Germany to an international audience. Visit the Olympic Village for a time-travelling experience back to seventies architecture – and witness typo­grapher Otl Aicher’s iconic public signage and pictograms. And while you’re there, take the elevator up the Olympic Tower (Olympiaturm) for a stunning view of the entire city. Munich is famous for letting it all hang out. Two prominent nudist spots are the Flaucher in Sendling – also a premier spot for river-side pick-nicking and BBQ – as well as a place colloquially referred to as “Eierwiese” (Lawn o’Balls) adjacent to the Eisbach in the Englische Garten. The grass on the other side of the Eisbach is greener, if you prefer to leave your trunks on – and the perfect spot to sunbathe and enjoy the Eisbach. Enter the Englischer Garten near the university, at Veterinärstraße and Königinstraße. So many beer gardens – so little time. Chinesischer Turm in Englischer Garten is the most famous one. Waldwirtschaft south of the Hellabrunn Zoo may be the most hyped one. But our favorite Biergarten is also the most typical one: Augustiner Keller near Hautbahnhof is the real deal. Gigantic chestnut trees, Riesenbrezn, Augustiner beer, Steckerlfisch, halbes Hendl & Kartoffelsalat … the epitome of heaven, if you dig original Bavarian food and culture. If you have more time, there is quite simply no way around visiting a couple of the many lakes located a mere 30-minute drive from Munich’s city center. The “5-Seen Land” for example, includes Starnberger See, Ammersee, Wesslinger See, Pilsensee and Wörthsee, all of which are ideal for swimming, windsurfing, stand-up-paddling, walking around or just hanging out. Especially because you’ll be surprised at how quaint things get just outside of the city limits.